Lavender aside - what do I do with rosemary? This is what I did with rosemary. Those are about as far away from nanna shoes as you can get which is what people expect when faced with having to wear "sensible" shoes. You know me, comfort first - style shouldn't hurt or else you'll have a miserable face and it will show #truedat! 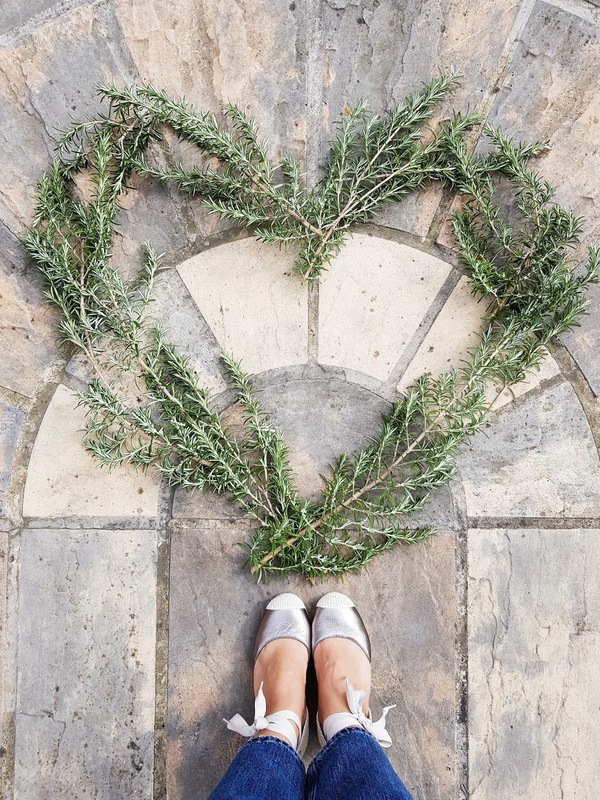 If you're lucky enough to have big rosemary plants which have strong stems - I was thinking it might be possible to use them as skewers for meat and veg for a barbecue? I got this idea from this Jamie Oliver recipe (one of my favourites from yesteryear). I developed Plantar Facilitis last year when I did a lot of walking and it was extremely painful when I wore anything too flat - I spent a lot of time in shoe shops looking for sandals I could walk in comfortably but which still felt like me and were stylish. I know it's not easy when it hurts but I'm still vain enough to want to look good. I don't give in easy and if what you wear feels like you - you will feel much happier. 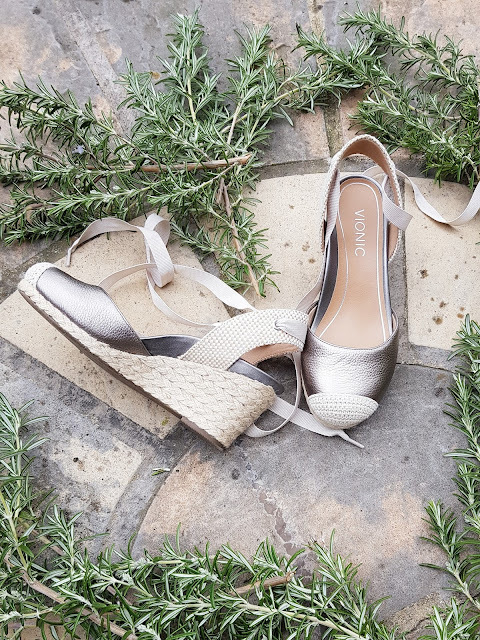 I was kindly sent the espadrilles by Vionic Shoes but do take a look as they do a good range across the board to cover different styles and trends. I know that last year if someone had written a blog post on comfy shoes - I'd have been all over it. They have some fab backless loafers and some of the trainers on there - I'd be more than happy to march around. Especially these ones - they look minimal and designer to me. And me ... the Plantar Facilitis subsided. I coincided this with the fact that I stopped the extra walking I was doing. Who said exercise was good for you? Not in my case anyway! Never heard of this brand so thanks for the heads up - have spent way too long looking at shoes this morning. And yes, my rosemary shrub did the same. It was one I bought in Tesco and replanted out and it looked like it wasn't happy about that situation. But a year later, it's thriving and giving me no excuse not to make rosemary and garlic potatoes at least once a week!